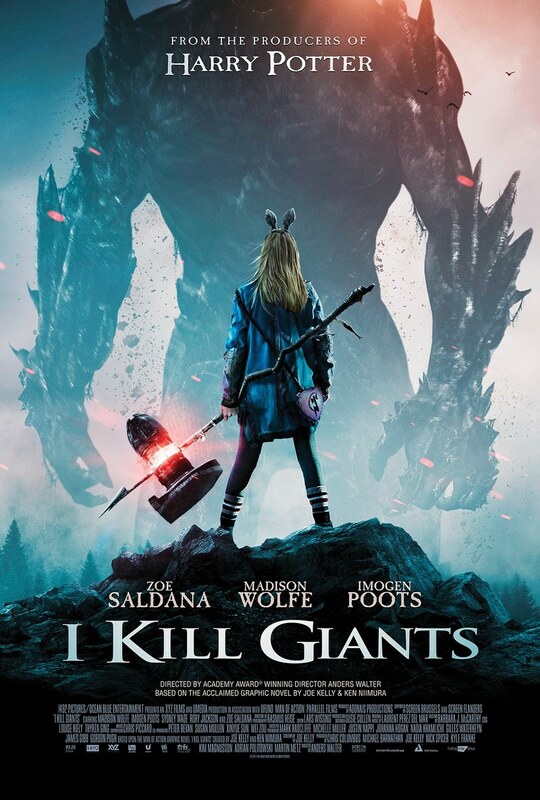 I Kill Giants DVD and Blu-ray release date was set for May 22, 2018 and available on Digital HD from Amazon Video and iTunes on March 23, 2018. Barbara is obsessed with fantasy worlds. She believes in magic. She believes that monsters are real. She believes that she is one of the few people who understand the world. Barbara lives her life by the philosophy that she should be a warrior instead of a coward. Mostly people think that Barbara is delusional. She's a teenage social misfit who wears a bunny ears hairband wherever she goes. She tells everyone that she's a hunter and killer of giants because giants destroy all good things in life. As a school psychologist attempts to help Barbara face reality, Barbara teaches the adults and children around her several truths about the "real" world.